Simplilearn’s Blockchain Certification Training will help you decipher the global craze surrounding Blockchain, Bitcoin and cryptocurrencies. You’ll get a deep dive on Bitcoins, Hyperledger, Ethereum, and Multichain Blockchain platforms, and learn to use the latest Blockchain tools such as Ganache, Truffle, Meta Mask and Geth to build Blockchain applications. 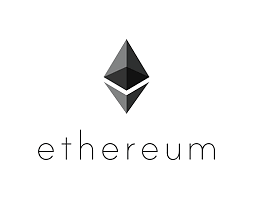 You will also set up your own private Blockchain network using Hyperledger composer playground and deploy smart contracts on Ethereum. Why should I enroll in this Blockchain certification course? This Blockchain Certification course offers a hands-on training covering Bitcoins, Ethereum, Hyperledger and Multichain scenarios. From a technological standpoint, you will develop a strong grasp of core Blockchain platforms, understand what Bitcoin is and how it works, learn key vocabulary and concepts commonly used when discussing Blockchain and understand why engineers are motivated to create an app with Ethereum. Hands-on exercises and projects will give you practical experience in real-world Blockchain development scenarios. What skills will you learn with this online Blockchain training course? Who should take this Blockchain Certification course? What are the prerequisites for this Blockchain training Course? What projects are included in this Blockchain training Course? The course includes eleven real-world, industry-based projects. Description: Build and test the business network of a finance company in Hyperledger Composer and deploy it on IBM Bluemix. 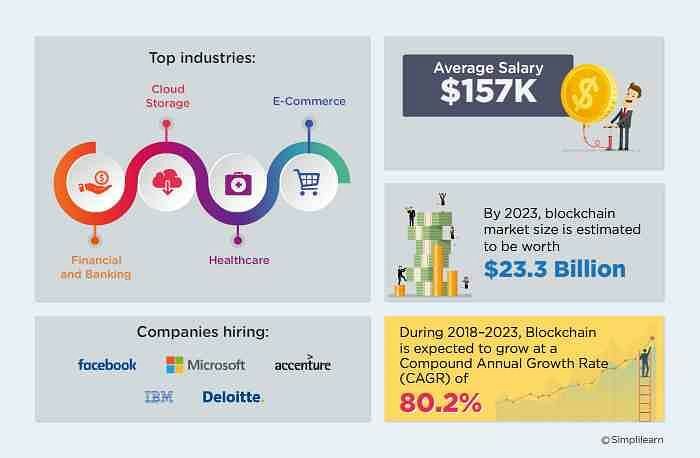 Description: Insta-Health, a healthcare organization, has a new project that will use Blockchain to improve and automate its health insurance process. You must develop a business network through which patients can opt for health insurance from Insta- Health. Description: A user is trying to access your application by entering his personal details. Develop a smart contract to verify the user’s identity before allowing him access to your application. Description: An entertainment industry has hired you as a Blockchain developer to create a decentralized movie rating application. You need to build a smart contract for movie ratings and test it on a local Blockchain network. Description: The traditional seafood supply chain industry has illegal, unreported, and unregulated fishing practices. You are required to bring traceability and accountability to the supply chain through the power of Hyperledger Sawtooth technology. Description: The government farming regulators are not able to track the locations of all animals and their movements between farms. You are supposed to create and deploy a business network to solve the problem. Description: Working as a software professional in a financial organization, you are required to develop a tradable token with a fixed supply that can be utilized as a currency, share, or an asset. Develop a smart contract to design and issue your own digital token. Description: Centralized marketplace has issues about trusting the transacting participants. People tend to trust sellers with a reputation in the market, which makes it hard for new sellers to do business. Develop a smart contract for decentralized marketplace application. Description: In a car auction, the price of your car is set by the company itself. Therefore, there is always a mediating or commission fee involved. Instead, we can create an interactive decentralized auction network where the highest bidder gets the car. Description: The stock exchange model is centralized, slow, and expensive. Hence, optimization is required. Develop a Multichain based stock exchange market, which makes the system decentralized, simple, efficient, fast, transparent, and secure. How to buy and sell Bitcoins? How to store and spend Bitcoins? How do I become a blockchain expert? Take Simplilearn's blockchain certification course and become an expert in Blockchain technology. Equip yourself with the structure and mechanism of Bitcoin, Ethereum, Hyperledger, and Multichain Blockchain platforms. Who provides the certification and how long is it valid for? Upon successful completion of the Blockchain certification training, you will be awarded industry-recognized course completion certificate from Simplilearn which has a lifelong validity. After completing 85% of the online self-paced learning successfully, you will be able to unlock your Simplilearn certificate. Yes. You can cancel your enrollment. We will provide you a complete refund after deducting the administration fee. To learn more, please refer to our refund policy. Online classroom training for Blockchain Certification is conducted via online live streaming of each class. The classes are conducted by a Blockchain certified trainer with more than 15 years of work and training experience. Is this live Blockchain training, or will I watch pre-recorded videos? What are the system requirements to attend the Blockchain training sessions? A working system with a good internet connection and minimum 4 GB ram. Yes. We provide a seven-day money-back guarantee for our master’s programs. Refer to our Refund Policy and submit refund requests via our Help and Support portal. How do I enrol for this online training?